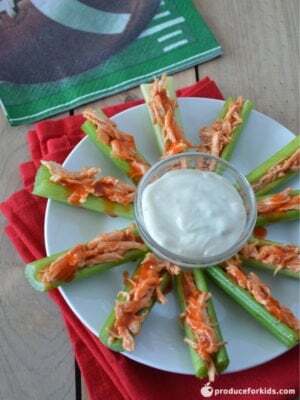 Score a touchdown at your tailgating party with this buffalo chicken stuffed celery. Buffalo wings can be messy, but this recipe has all the flavor of wings in a healthier, crunchy snack. Heading out early for a tailgate? 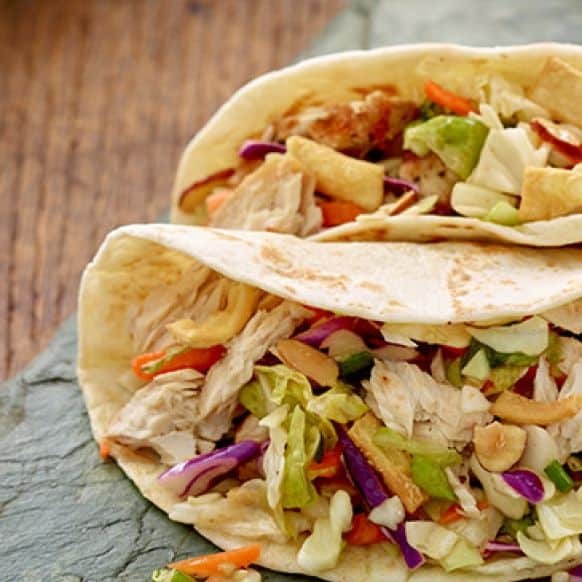 You can prep these ahead of time! Mix chicken and buffalo sauce in small bowl. 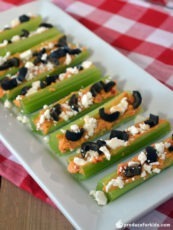 Fill each celery stalk with buffalo chicken. 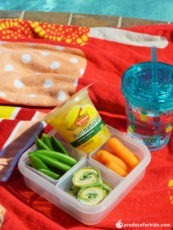 Serve with blue cheese dressing for dipping.